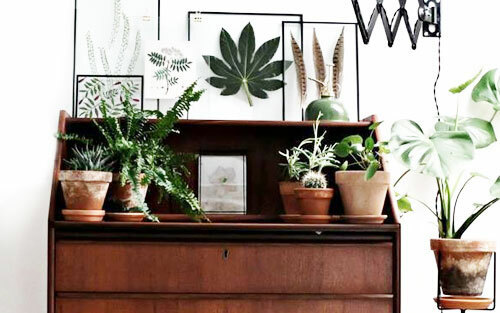 Temperature - Indoor plants don't like drafty areas. They don't behave like outdoor plants and most common types of indoor potted plants are not adaptable to all situations. 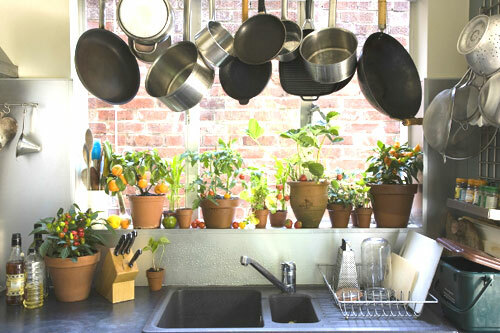 A new indoor gardener might place the potted plant in a sunny window thinking that the sun will help with growth. However what usually happens it the plant dries up from the rising temperature change and then gets cold at night from sitting on a cold windowsill. The best action to take for a potted plants health is move the plant into a morning sunny window when the sun is less intense. Then move it out of the sun after a couple of hours. Check the plants leaves for signs of burn or if more sun is needed. Pottery selection: Select a pot that fits your plants needs and your rooms decorative desire. Make sure the pot is large enough to accommodate root growth but not so large that when watered it saturates and drowns the poor plant. Many garden pots have drain holes which is most healthy for any plants roots system, so buy a saucer to protect the surface you place the potted plant on. This is a time to be creative and match your homes decor. Have fun! Watering & Soil: Go with sterilized garden soil that can be purchased from a garden center or nursery. It is not recommended that you dig up dirt in your yard and use that since it may contain pests or disease. A good rule of thumb when watering potted indoor plants is to keep the soil moist, not dry or wet. Don't drown your plant, make sure the water run off is emptied and check regularly that the soil doesn't dry out. 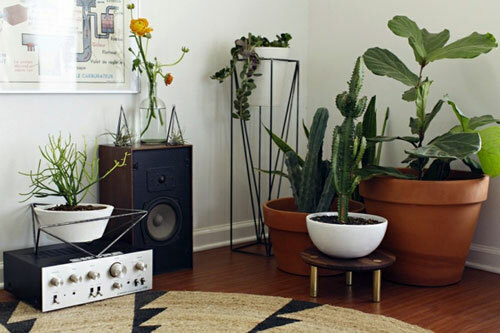 Fertilizer: Don't feed the potted houseplant to much because it can burn the plants roots and use a fertilizer made specifically for houseplants. Their nutrient needs are different that garden plants. So do not overfeed but make sure they get something every couple of weeks. 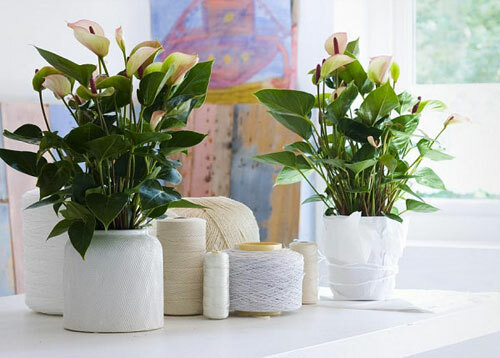 If you watch the temperature, get some natural morning sunlight, feed the soil with nutrients, water when needed, you should have lovely and healthy houseplants that you can be proud of.